On July 8-11, Krakow will host EURARADIO Folk Festival 2015. The festival is organized by European Broadcasting Union and Polish Radio. 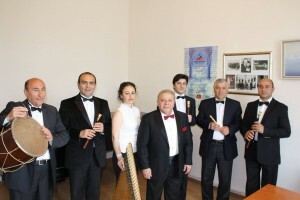 Within the framework of the festival, Honored Artist of Armenia Ruben Matevosyan and Folk Instruments Ensemble of Armenian Public Radio will give a concert in St. Catherine’s Church, ( ul. Augustiańska 7) on July 9, at 18:30. Kategorie: Kultura i sztuka, Ogłoszenia, Ormianie w Polsce, Wiadomości. Tagi: Etno Kraków, Ruben Matevosyan, Հայաստանի Հանրային ռադիո, Ռուբեն Մաթևոսյան. Autor: Կարեն. Dodaj zakładkę do bezpośredniego odnośnika.